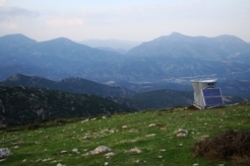 For wind energy developers prospecting at more challenging, off-grid sites – such as on ridge lines, hillsides and in heavily forested areas – the versatility, maneuverability and size of remote sensing devices means that they offer numerous potential advantages over measurement towers (met towers). Validating the accuracy of a remote sensing system in complex terrain removes one of the few remaining barriers to the widespread adoption of the technology across the industry. Vaisala’s extensive complex terrain validation study spanned 20 individual sites, each with a collocated Triton Wind Profiler and met mast, collecting simultaneous measurements for a period of 1-4 months. These sites were distributed across the globe and exhibited a variety of local terrain complexity. Using publicly available elevation and land cover data, WindSim configured CFD simulation domains surrounding each collocation site and conducted simulations for a variety of inflow conditions. From these simulations, Vaisala developed correction factors to account for windflow curvature, for each measurement height and wind direction sector. By applying these CFD-based corrections to Triton data, Vaisala found a reduction in the mean wind speed difference between the Tritons and met towers – from -1.7% to -0.1%; and in the standard deviation – from 2.5% to 2.1%. The correction therefore not only eliminated the overall bias, but also reduced the spread of error among the sites. 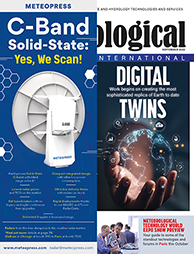 Dr Arne Gravdahl, founder and chief technical officer, WindSim, said, “The accuracy of remote sensing data has widely been recognized as on a par with that of met towers in all aspects – except when it comes to operating in complex terrain. Using CFD simulations to adjust Triton data removes this concern, leveling the playing field in terms of data quality, and allowing developers to take full advantage of the Triton’s versatility.